Charles Wright is feeling selfish as he prepares for his biggest meeting of the season at Owlerton on Sunday (5pm). 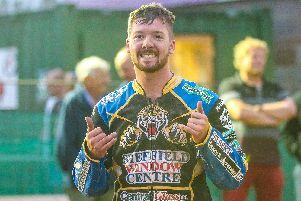 Sheffield racer Wright has enjoyed an impressive debut season with the club including victory in the Championship Pairs at Somerset in July. Now he wants something for himself – a gold medal in the Championship Riders’ Individual. He said: “To win this meeting will be massive. I won the Pairs with Kyle but to do something individually would be huge. “All it takes is one good meeting. A month ago we were on a high after winning at Somerset and then it’s all gone wrong since for Sheffield. “Yet that could all turn around again just as quickly. It’s such a confidence-driven sport but it is how you deal with the ups and downs. It’s tiring because it’s on your mind 24/7. “In most other jobs you can have a bad day at the office and get away with it, even if you’re not feeling great or whatever, you still take the wage packet home every week. 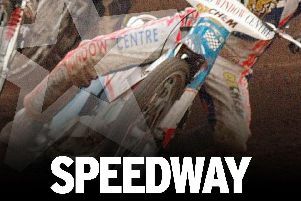 “In speedway you just don’t have that luxury. A bad day at the office means no money, no confidence and extra pressure on the next meeting. “It’s a brutal sport at times. The highs are just brilliant, the lows you don’t want to have to deal with. It can be the best job in the world, or just simply horrible.